Today I didn’t feel well enough to run, so I chose to volunteer as a photographer. This meant getting my old Nikon DSLR out of it’s dusty bag, recharging it’s battery and reminding myself how to use it again ! The result was around 250 photographs (which took hours to edit !) showing so many happy faces, such a diverse group of people coming together to share our wonderful event. 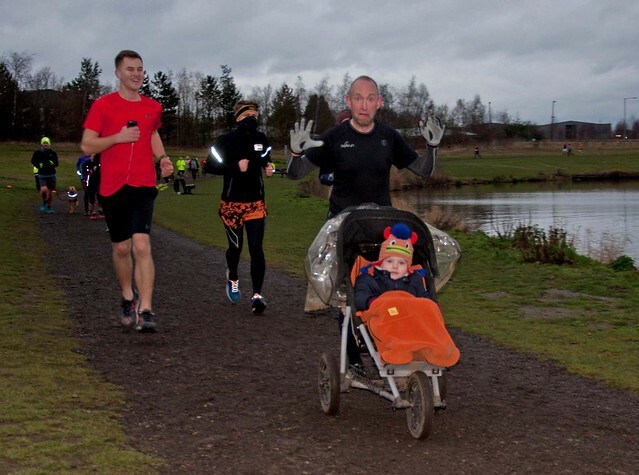 This is why I love Poolsbrook parkrun, and parkrun in general, it’s the coming together of people from all backgrounds and abilities. 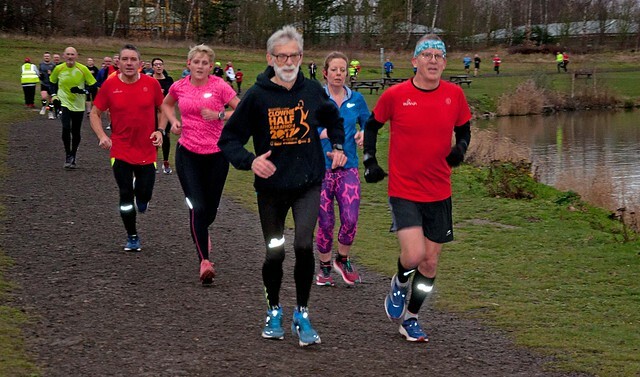 We have people who come to run fast times, some come to beat their own PB, some come along for their weekly exercise and some come for the social side of the event – all are equally welcome and all are equally supported. 21 volunteers made it all happen this week, many thanks to Alfie WALTON • Anastasija TURNER • Andrew LITTLE • Andy BATTLEY • Andy MORRIS • Andy PORTWOOD • Chris TURNER • Gemma MORRIS • Graham WALTON • Jean BAKER • Jonathan HEATHFIELD • Julie HEATHFIELD • Keith HUDSON • Laura STANLEY • Roger KENCH • Shaun GOODWIN • Steve TURNER • Teresa PAYNE • Wendy WESTON • William STREET • Zaheer MAHMOOD. 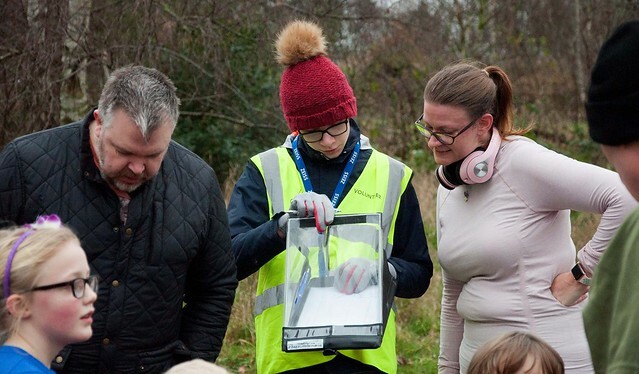 If you would like to volunteer you can leave us a message on our Facebook page or e-mail us at poolsbrookhelpers@parkrun.com – everyone’s support is very much welcomed. Once again it was a tremendous turnout following previous year’s trends of high numbers of first timers in the first few weeks after New Year, let’s hope those New Year’s resolutions hold ! 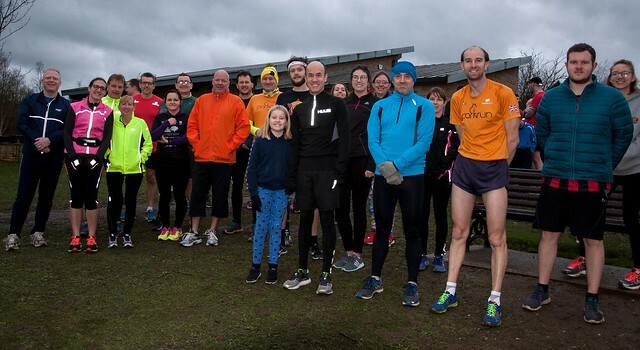 273 of you took part by walking, jogging or running today of which 38 were at Poolsbrook parkrun for the first time and of these 16 were parkrun first timers. So a big welcome is due to Astra MORGAN, Chloe BYERS, Dorte PRIOR, Emma HAZEL, Ian CULLINGTON, Janice DICKSON, Jason MARRIOTT, Jonathan BYERS, Joshua NELSON, Mandy MANSON, Marc WALKER, Mel DORNA, Nazir HASSEN, Nicola ROBINSON, Rob HOPEWELL, Zoe Adele WARD. 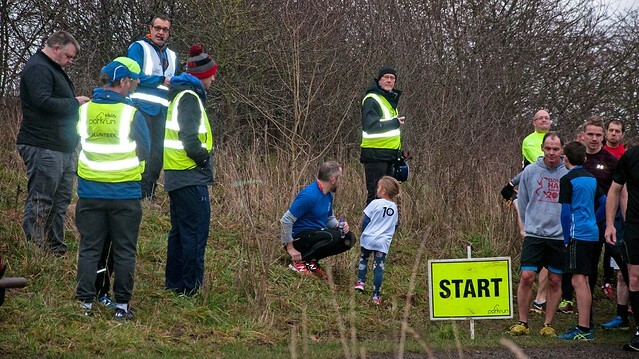 Congratulations on your first parkrun and let’s hope that it’s the first of many. Welcome also to first time Poolsbrook parkrun tourists Alan THOMPSON, Alex STEPHENS, Clive HAYWARD, George FULLERTON, Graeme SCANDRETT-SMITH, Gregan CLARKSON, Guy LAMBERT, James HOLDEN, Jennifer BENSELIN, Jo MARSDEN, John KILCOYNE, Julia LAGOU, Lily MARSDEN, Lindsay HOULDEN-STOPPS, Matt JOHNSON, Melissa SHAW, Paul TIBBLE, Paula THACKER, Robert Andrew JONES, Samantha TEBBUTT, Sarah CLARK, Steve ROBINSON – we hope that you enjoyed your run and thank you to those of you that gave us such lovely feedback. 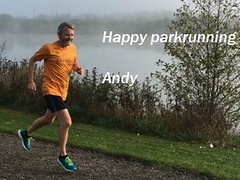 Today was my 100th parkrun today, many at Poolsbrook. It’s become such a routine over the last two and a half years that I don’t get the pre event nerves I used to but today they came back. I remember thinking on the first few events that a 100 would be a great achievement and since then my running journey has been a long and winding road mostly shaped by the people I have met and now call friends. I still find it amazing how inclusive parkrun is and the friendliness of the volunteers and runners is incredible. A credit to all. 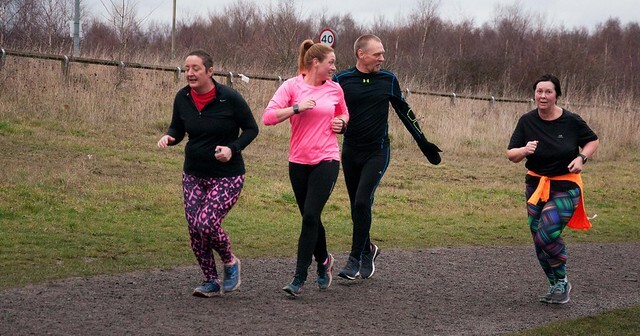 Whether you are just starting the parkrun journey or a seasoned veteran you all make it a great place to visit every Saturday morning. Also being in the hi viz a lot really does put it into perspective and I encourage anyone to do it at least once, it’s almost as good as a PB. I can’t wait to see many more of you achieve your milestones. Thank you for 100 great runs and hopefully a 100 more. 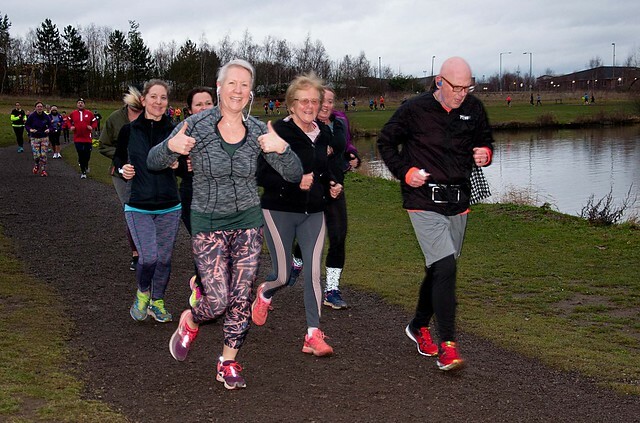 If you would like to share your story with your fellow parkrunners, e-mail a few words to us at poolsbrookoffice@parkrun.com – we really would love to hear from you. Another milestone achieved was for Chris who did his 50th stint at Run Directing. 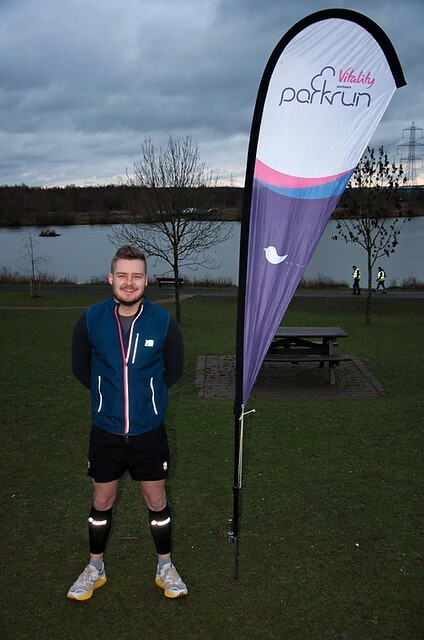 You will see Chris and his partner Anastasjia at Staveley junior parkrun every Sunday where they are Event Directors and frequent Run Directors. 38 of you managed to set a new personal best time and I know that a few of you have been setting PBs for a number of consecutive weeks, this is a tremendous feat. Congratulations to those that got a PB John MERCER, Jade SHEPPARD, Anne BATTY, Edward CRITCHLOW, Jez CRITCHLOW, Christine MERCER, Connor DRAPER, Thomas DRAPER, Scott DRAPER, Amanda WING, Victoria DAVIS, Neil YEWMAN, Hollie SHEPPARD, Darren LONGMATE, Martyn WHITLEY, Gabriel BAKER-HUNT, Joseph OYEDEPO, Imelda COLE, Mark JAMES, Aimee CARRACK, Alison LEWISHILL, Jason CRABB, Georgia MARSDEN, Keith GREEN, Noah VAN HOOREBEEK, Kirsty DENTON, Gemma MORRIS, Malachi BAKER-HUNT, Georgia BALL, Carly JONES, Keith HIRST, Diane GUNN, Michael BURR, Chris COATES, Matthew MARTIN, Ellis HEWITT, Heather HILL, Travis SENIOR. February 2nd - 150th event. Please wear your parkrun shirt (if you have one). We hope to run the route in reverse. Don’t forget to check our Facebook page and our webpage for any warnings about possible cancelations due to bad weather at this time of the year. We will always do our best to ensure that the event goes ahead but we won’t proceed if there is any danger to participants. This entry was posted in The Notice Board by poolsbrookoffice. Bookmark the permalink.